Apartment in villa on groud floor. 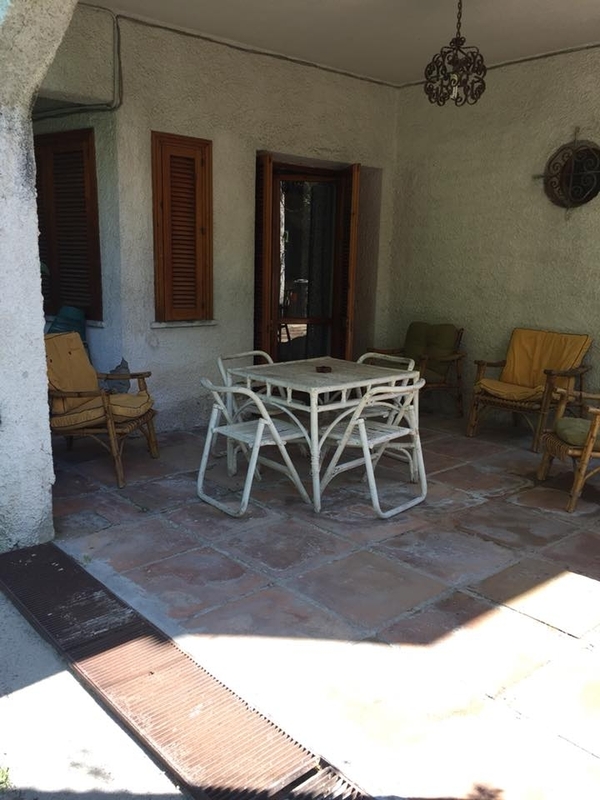 Around 50sqm, with a living room where there is a sofa double bed and with kitchenette,1 double bedroom and bathroom. From the living room you can go out in an unfenced private Patio. You also get a parking in condominium space. Near the house you can find the main stores and supermarkets. With a short walk, about 100m you can find Vindicio beach, where you can either rent an umbrella and chair or bring your own. Evrey rental has kids games and you'll always be able to admire the beautiful Gulf of Gaeta. The sand beach is nice, but the are also rocks to explore. The sea itself is shallow for about 20 m making it safe for children.In the afternoon the wind often raises quite a bit, this gives you the opportunity to practice windsurfing or attend sailing school, it also makes me feel pleasant to lay in the sun without suffering the heat! You can eat at the beach bringing the food from home or having lunch on establishments where you can find excellent local dishes. About 100m from the beach you can find a pine park with kids games and a bar. The center of town is about 15 minutes walk from the villa.